Nickel is a hard, silvery-white metal whose salts are present in all soils. Extremely small quantities of this element are required in the human body for optimal health but according to the MELISA Foundation, nickel consumption or exposure triggers more allergic reactions than any other element, and approximately 15% of the human population suffers from a nickel allergy. Individuals can be exposed to nickel in a variety of ways, but most human contact is attributed to jewelry and food. Food? I hear you cry. Food? If you have a nickel allergy you will know that jewellery, watch straps, coins and almost anything metal in the home and workplace probably contains some nickel. Because it’s so hard it’s very useful to use mixed with other metals to produce a very durable end product. Great! but not if you are allergic to nickel. Individuals who suffer from a nickel allergy should avoid foods rich in this element. (Ref Livestrong) But how do you know which foods contain nickel and why? I have tried to understand here for you why some foods are high in nickel content and others not. However just because you have a nickel allergy doesn’t mean you will necessarily react to these foods. But if you are still having skin problems it could be worth investigating these foods in your diet and noticing whether they make you worse or have no effect at all. High content nickel containing foods – the ones to avoid! According to the Agency of Toxic Substances and Disease Registry, chocolate is one of the foods with the highest nickel content. Bittersweet chocolate contains a nickel concentration of 2.6 ug/g, milk chocolate has a nickel concentration of 1.2 ug/g and pure cocoa powder has a nickel concentration of 9.8 ug/g according to “Principles of Food Chemistry” by John M. deMan. The nickel content of chocolate is high due to the extensive refining process and constant contact with stainless steel machinery. Cashews also contain a relatively high concentration of nickel. The nickel concentration of cashews is 5.1 ug/g according to “Principles of Food Chemistry.” The World’s Healthiest Foods website states that consumption of cashews can yield some health benefits, such as the prevention of gallstones, promotion of cardiovascular health and maintenance of healthy bones and muscles. 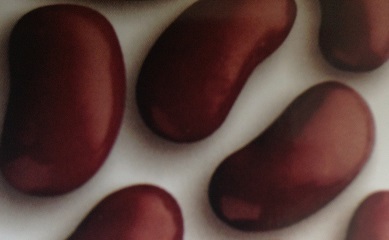 Red kidney beans are another dietary source rich in nickel content. Legumes especially dried beans and lentils. Bean sprouts also have a high nickel content. Whole wheat and multigrain flours are high in nickel content. Avoid wheat and oat bran, oatmeal, brown rice, and flower seeds (such as sunflower and sesame). Canned meats and fish, such as tuna. Chocolate and cocoa drinks, especially chocolate milk and raspberry or citrus yogurt. Fruits including peaches, pears, raisins, rhubarb, bananas, blueberries, strawberries, blackberries and other berries. Any of these can be eaten fresh or cooked, but not canned. Most vegetables are allowed on this diet. Recommended vegetables include: bell peppers, cucumbers, eggplant, and cruciferous greens (cabbage, cauliflower, brussels sprouts, bok choy). Vegetables may be fresh or cooked; canned items are discouraged. All plain dairy products eg. milk, cream, cheese, butter, yogurt etc. are allowed. Grains: Refined wheat and most corn products are permitted on this diet. Pasta, white rice, cornflakes, cornmeal, and white breads are all low-nickel foods. Most kinds of animal protein are low in nickel content. Chicken, turkey, beef, and eggs are recommended. Do not eat canned meats and fish, such as tuna. Alcoholic beverages, coffee, and tea (though not from urns or machines) are allowed, as are sodas, and juices from low-nickel fruits. You could take a vitamin C supplement with each meal to slow the bodies absorption of nickel from the food you eat. If you also eat food rich in iron this could help too. Vegetables usually contain more nickel than do other food items; high levels have been found in legumes, spinach, lettuce and nuts. Certain products, such as baking powder and cocoa powder, have been found to contain excessive amounts of nickel, perhaps related to nickel leaching during the manufacturing process. Read more in “Human Exposure to Nickel” on Pubmed, IARC Sci Publ. 1984;(53):469-85. Grandjean P.
Is your healthy diet making you sick? Nickel allergy to foods on the rise. EHow – list of nickel free food. This post is an amazing resource for people that are not aware of the causes that Nickel rich food can do to them. It’s so important to spread the word, keep up the great work!